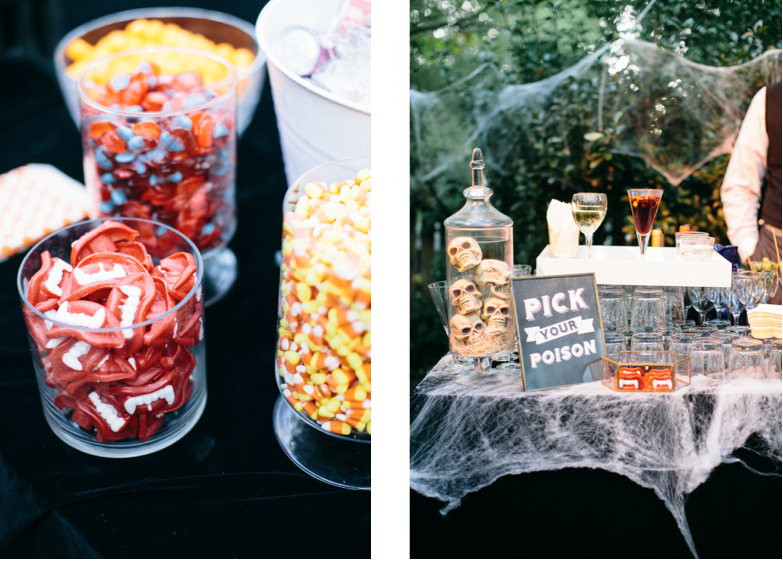 Halloween is one of our favorite days of the year at A. Dominick Events. 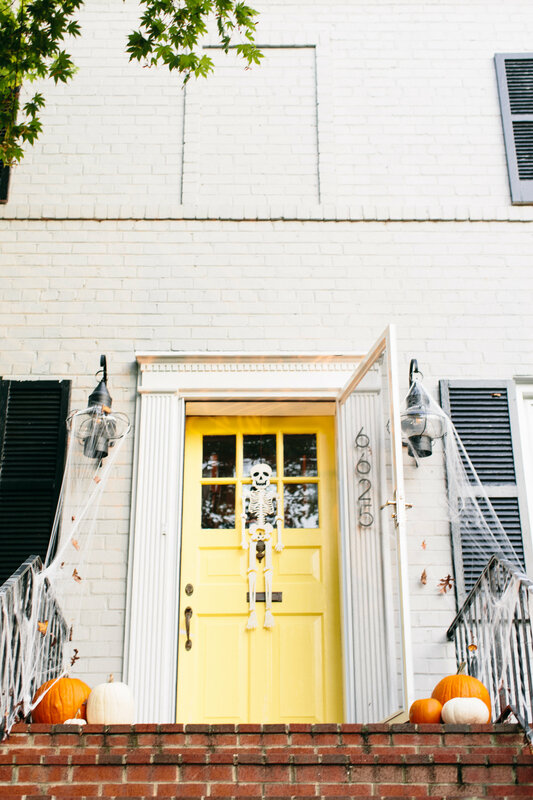 Hosting a Halloween party at home is the perfect opportunity to celebrate the Halloween spirit and enjoy an unforgettable night that’s fun for the whole family! Nothing gets people into the Halloween spirit like some festive decorations. 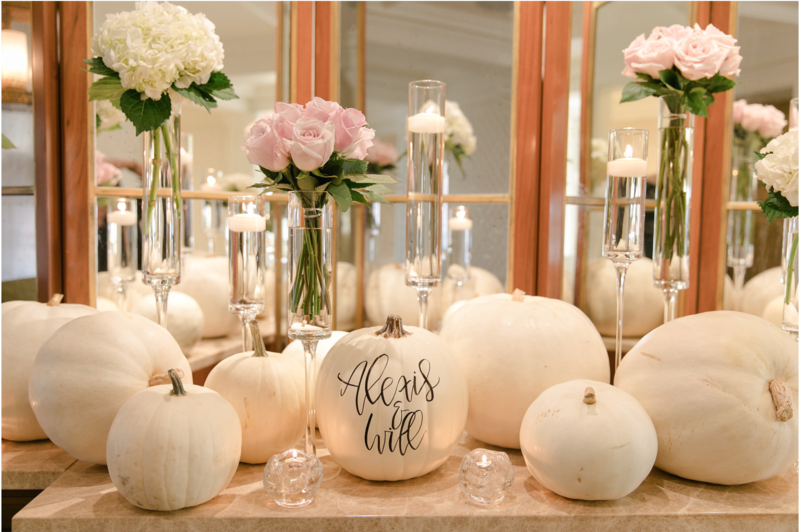 The fireplace mantle was the perfect spot to highlight these gorgeous black, white, and gold pumpkins. 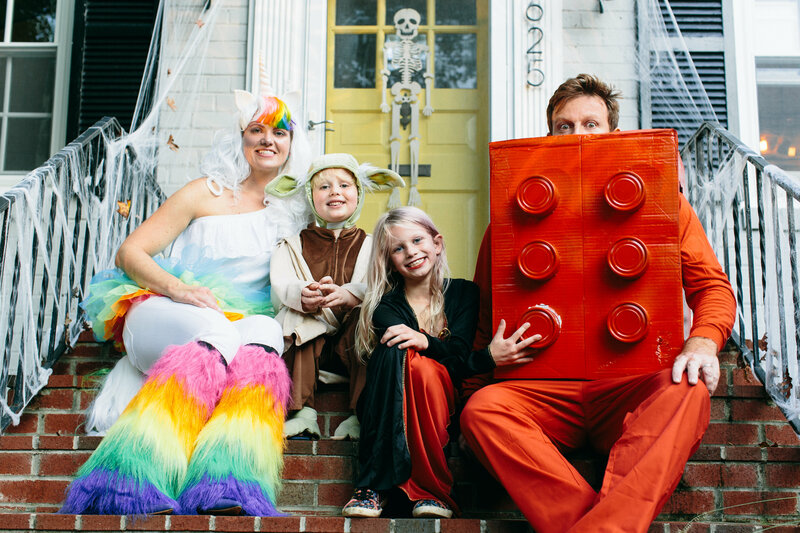 You can’t properly celebrate Halloween without treats for the whole family! 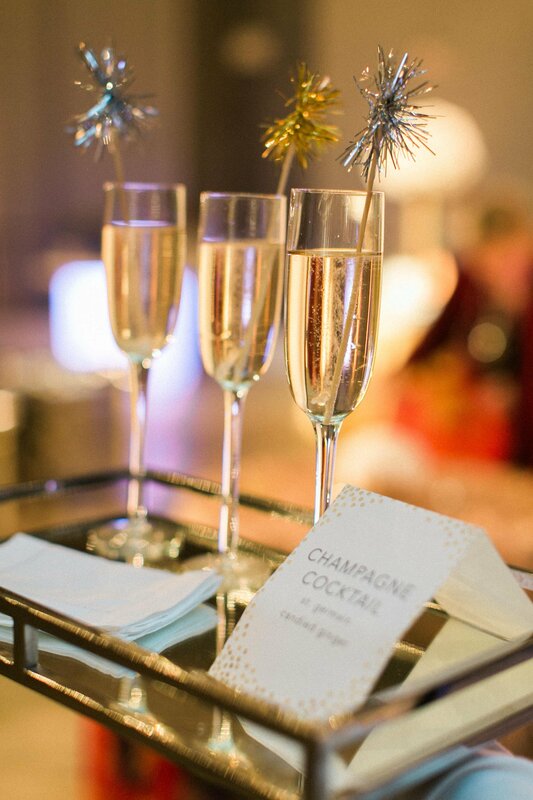 Kids indulged in some yummy Halloween candy, while the grown-ups were treated to a full bar featuring some delicious fall-inspired cocktails. 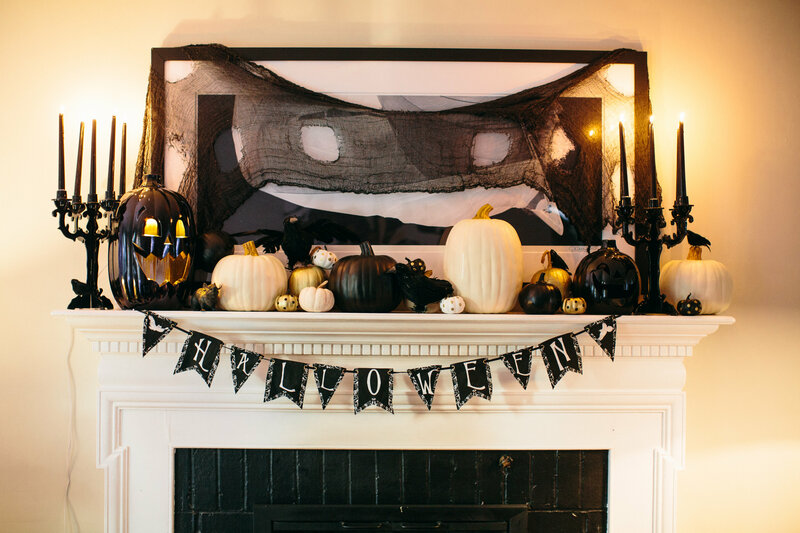 A great DIY trick to incorporate into your Halloween party is to make your own lights. 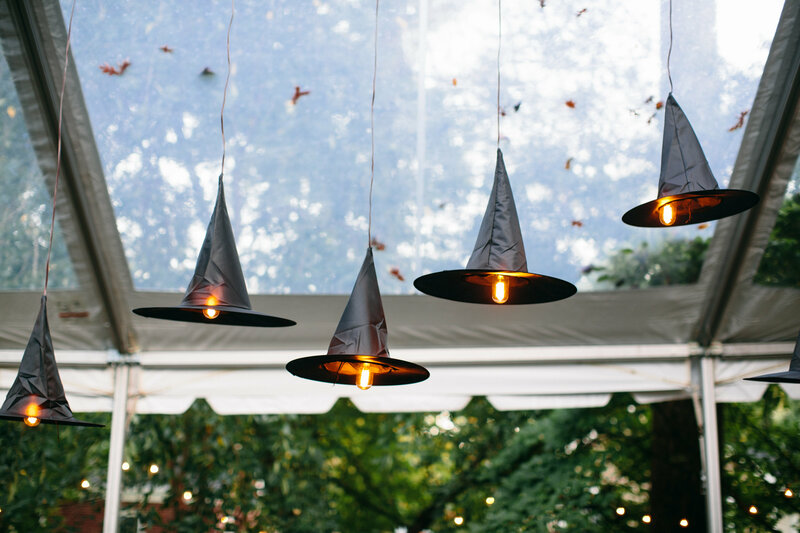 With a little help from Frost Lighting, these black witch hats from Oriental Trading were used to cover hanging light bulbs, adding a fun and spooky feel to the outside decor. The party was full of activities that kept guests feeling the Halloween spirit throughout the night! 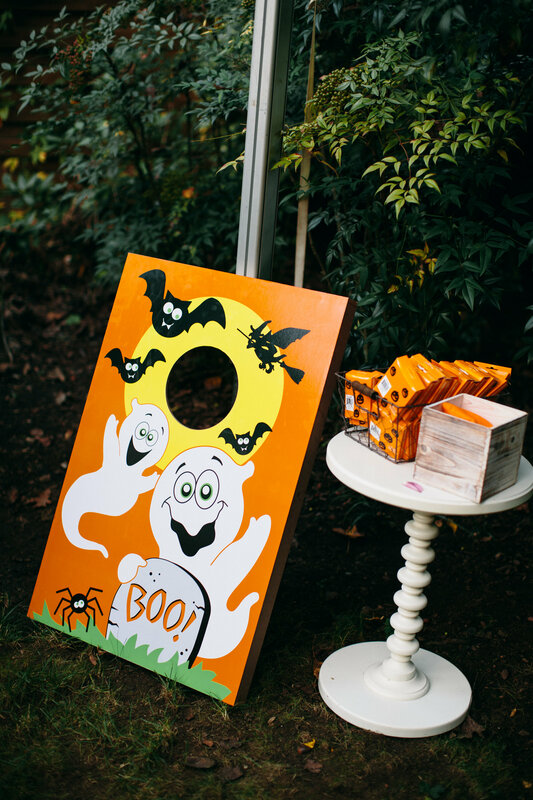 There were plenty of games for the kids, including a skeleton ring-toss and this ghost bean-bag toss from Oriental Trading. 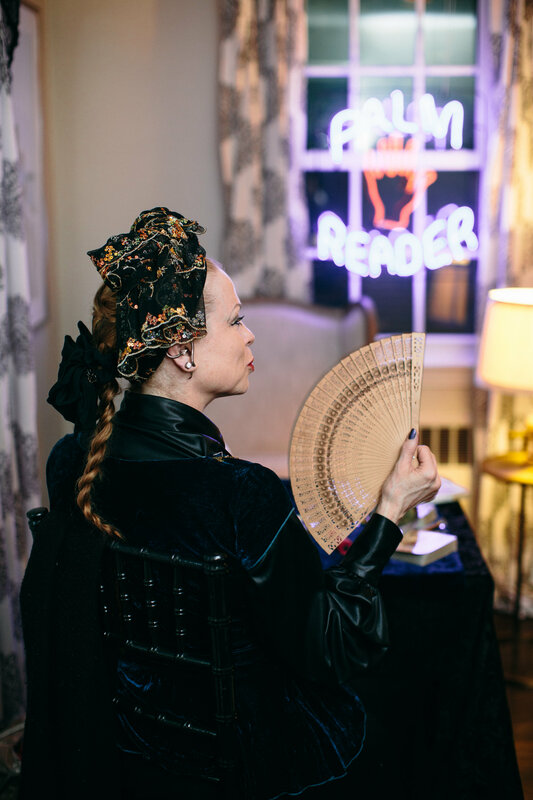 The palm reader added to the spooky atmosphere of the party, and guests had a blast learning about what their future might hold. 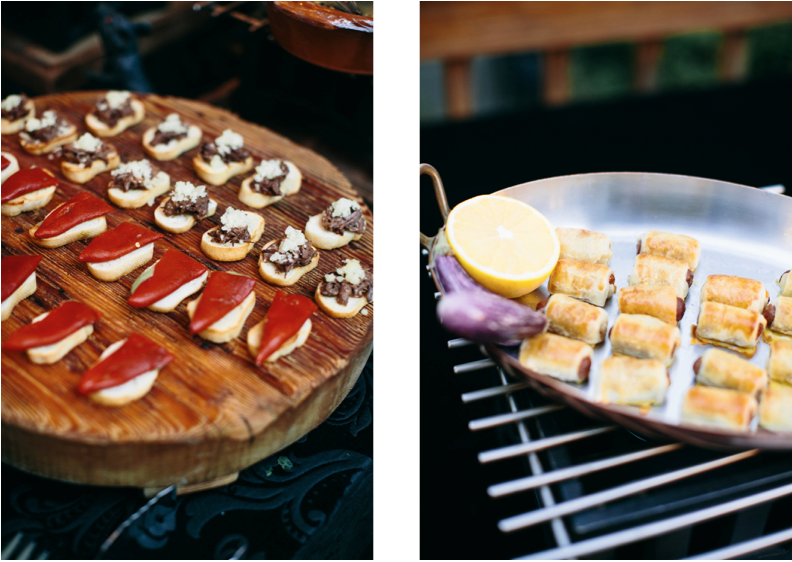 To fully embrace the Gypsy-inspired theme of the party, the grown-up dinner option included Spanish fare and tapas catered by Occasions Caterers. 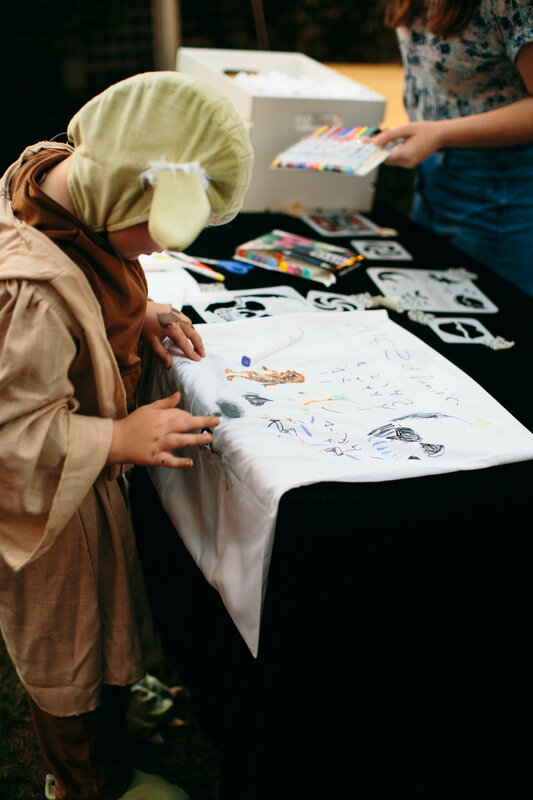 We couldn’t forget about the little monsters, so the dinner buffet for the children featured some kid-friendly favorites, including pizza and pigs in a blanket. A huge hit with the kids was the decorate-your-own pillowcase table. They loved getting creative and designing their own trick-or-treat bags! The night concluded with a costume contest for the adults, and with so many fantastic costumes, it was hard to choose a winner! 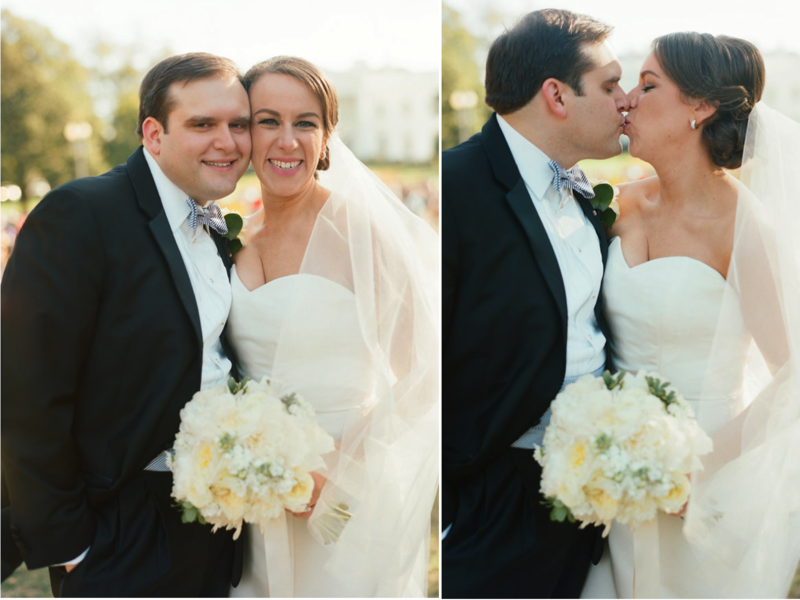 It was very important for this sweet couple to have a quintessential DC wedding! 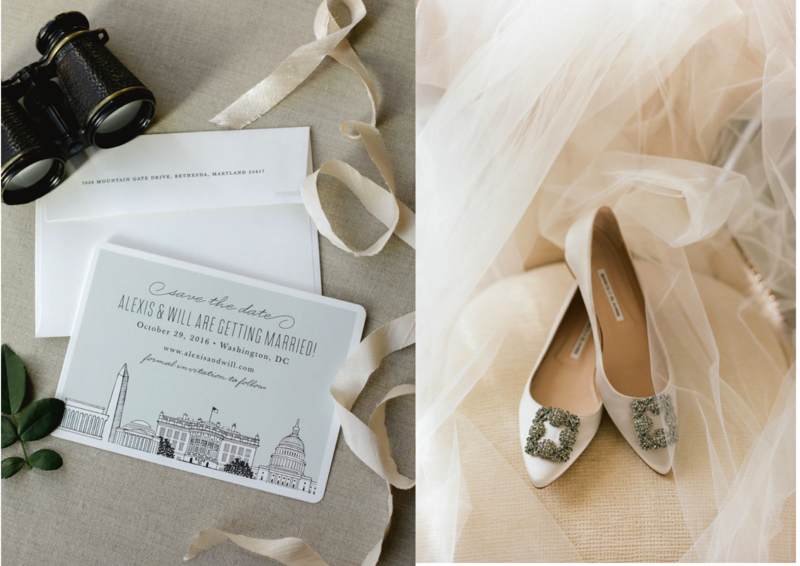 They wanted a location that showed off the beauty and history of Washington, DC and since the groom is a bit of history buff they couldn’t think of a better location for their wedding than the iconic Hay- Adams hotel. 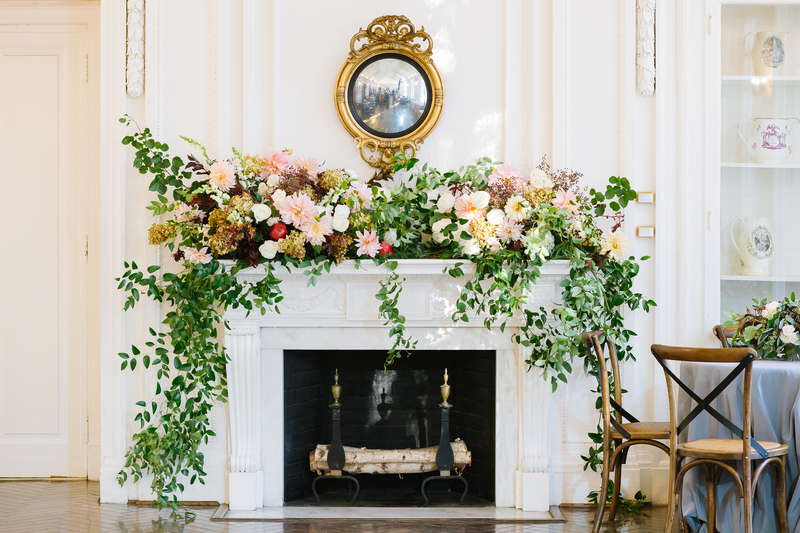 Even though the couple were married in late October, the bride wanted to use white, cream and light pink for a garden-inspired look. White pumpkins (her favorite!) 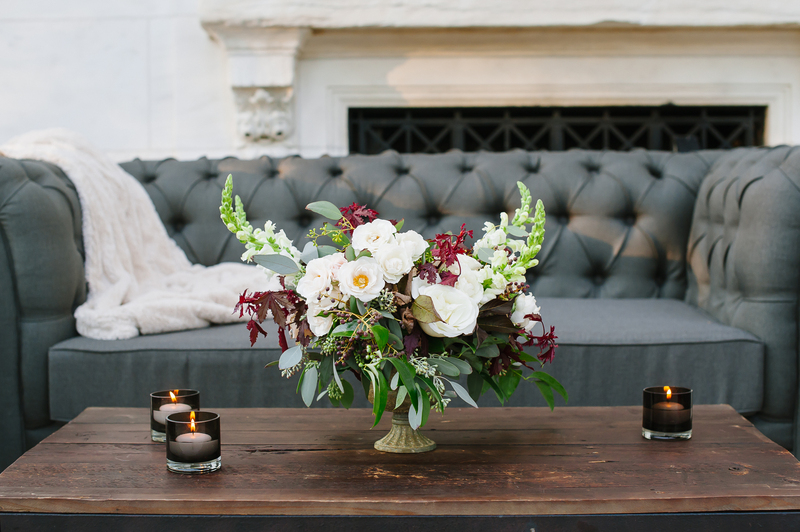 were a fun way to welcome guests and incorporated just the right amount of Fall. These proud dog-parents to labrador Gracie, had to include her somewhere in the festivities. 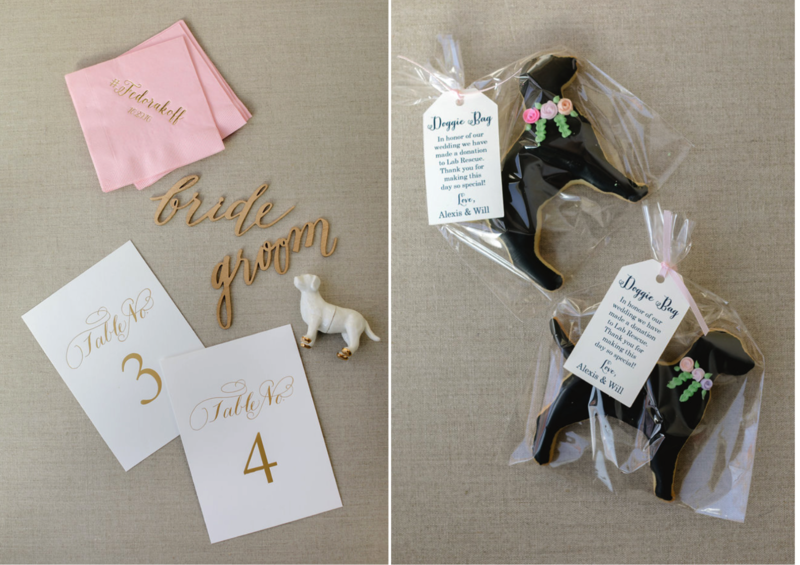 Guests took home a “doggie bag” with an adorable black lab cookie by Sugar Pixie Sweets. Happy Anniversary Mr. and Mrs. Fedora. We wish you a lifetime of love and happiness! Gina and Peter were not only stunningly gorgeous on their wedding day, but also two of the nicest people we have ever met. 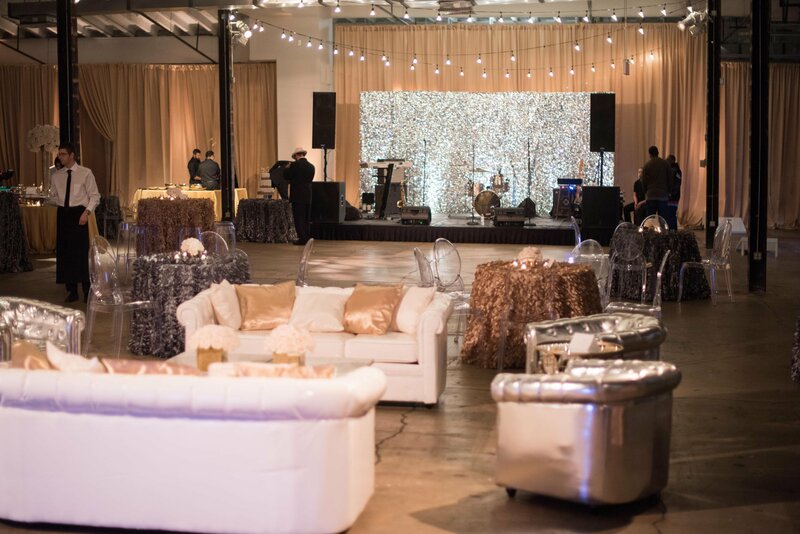 It was clear to everyone how crazy they are about each other and they wanted to celebrate their wedding with a great party for all of their beloved friends and family! 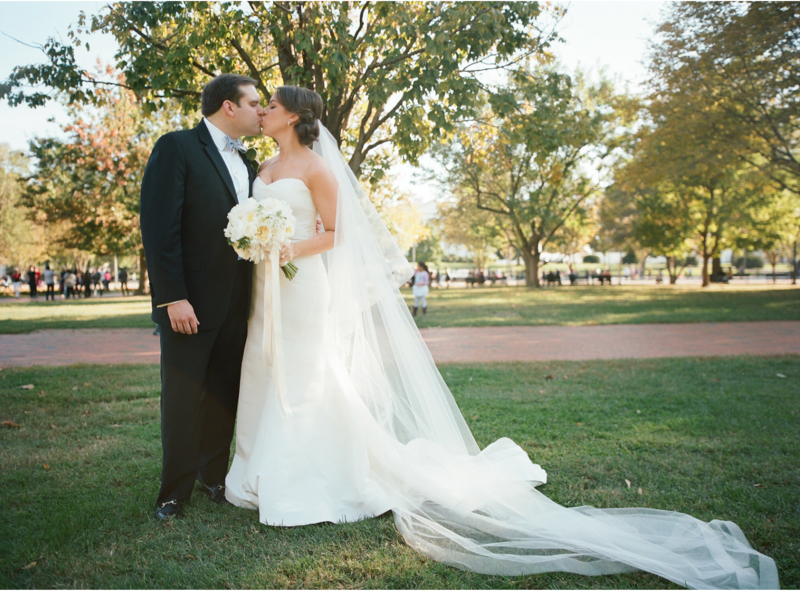 Their ceremony at St. Peter’s on Capitol Hill was beautiful and intimate. 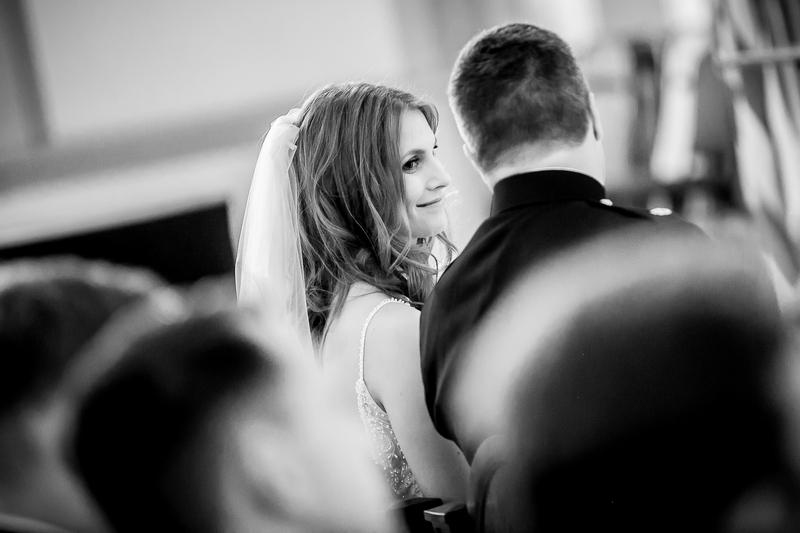 The bride loved how her and her soon-to-be husband were able to breathe and take it all in – before taking their vows and beginning a life together. 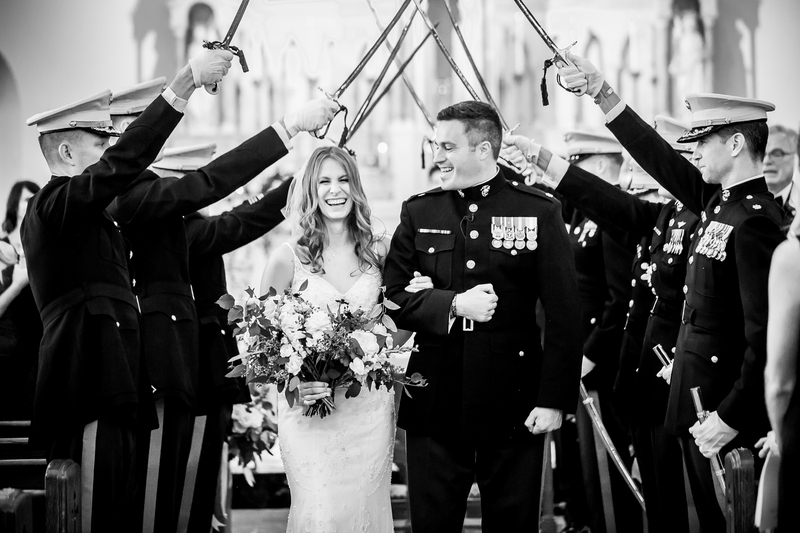 One of the bride’s favorite memories from her wedding day that was particularly special to her, was in the midst of being surrounded by two hundred of their nearest and dearest, they had time to find moments with each other. 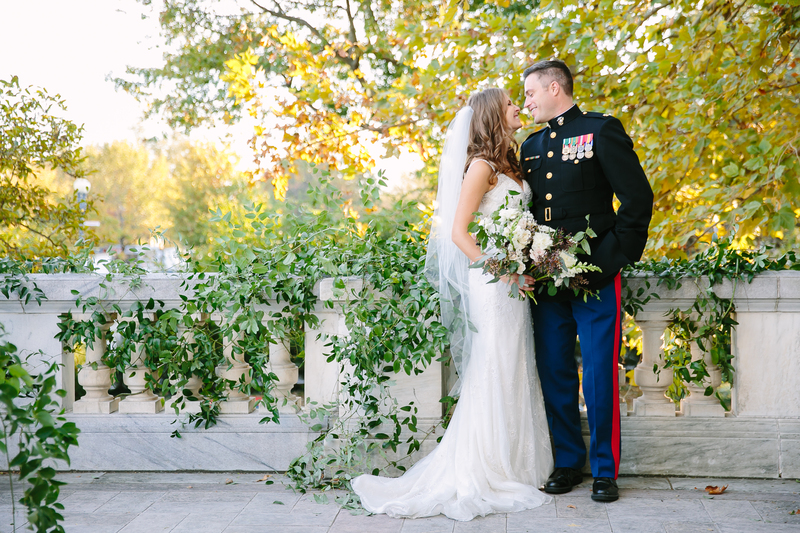 Happy First Anniversary Mr. and Mrs. Dixon. 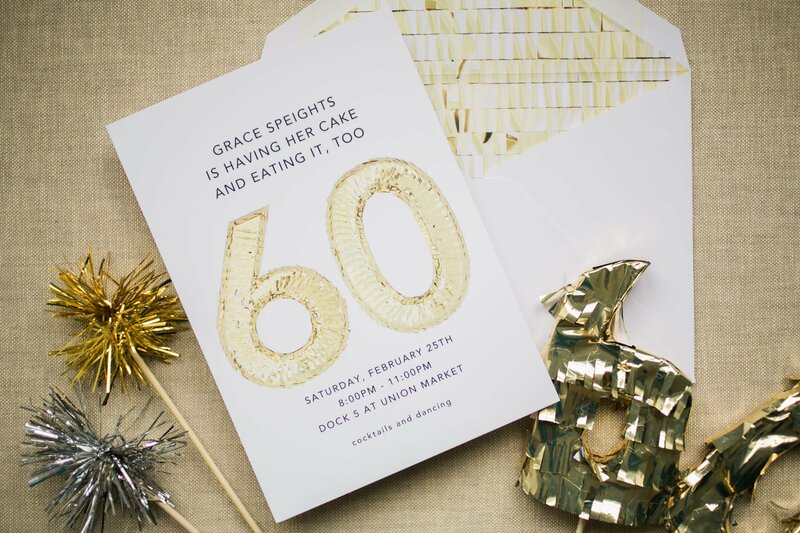 We wish you a lifetime of love, laugher and adventure!